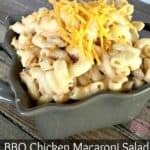 BBQ Chicken Macaroni Salad is a quick and easy side dish, perfect for a summer barbecue, or anytime that you want a taste of summer! 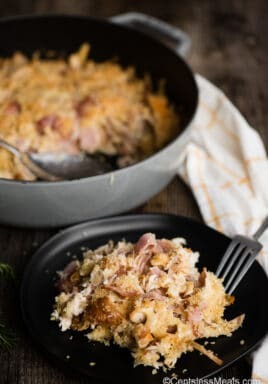 Add it to your list of easy potluck dishes and get ready to make it time and time again! I kind of feel the need to tell you how this recipe was born. I had called a friend of mine so we could spend some time complaining about how we don’t have enough time in the day to clean etc. and I decided to cook instead of vacuum. I feel like that was a good choice! I asked her what kind of macaroni salad should I make and we came up with this! I was making this for the family because we love barbecue sauce. Like the kind you dip the onion rings in at Red Robin. You know that stuff right? It’s like the angels sing as you eat it! It’s ah-mazing! Well, I am happy to say that this kind of tastes like that sauce, and it’s delish!! Seriously! I kept sneaking bites all night and oh em gee….it’s even better the next day! You’ve got to try this! 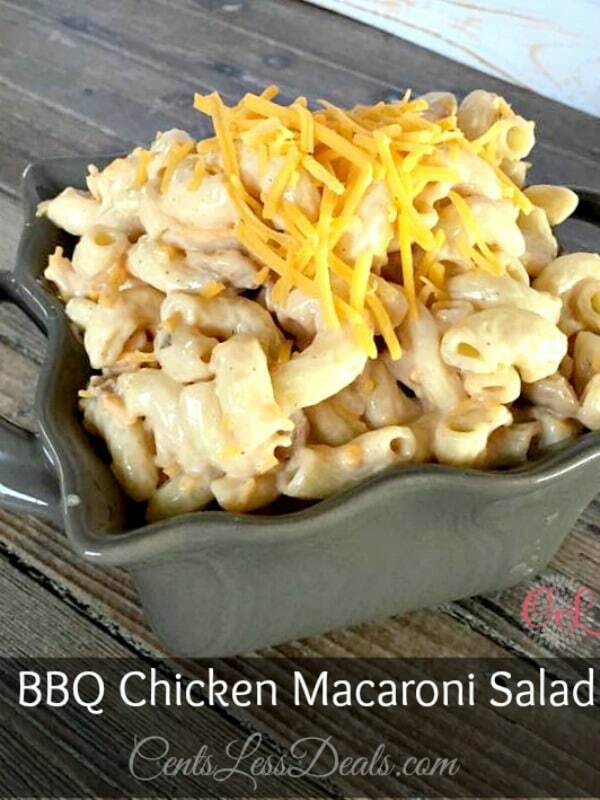 This Barbecue Chicken Macaroni Salad really is a perfect side dish for when you have a barbecue at your house or really…just make this, for anything. After you try it you’ll see! Mix together the mayonnaise, barbecue sauce, garlic powder and seasoning salt. 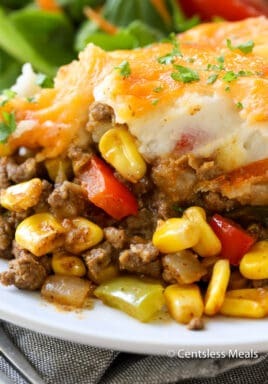 Once mixed well add in remaining ingredients and mix well. 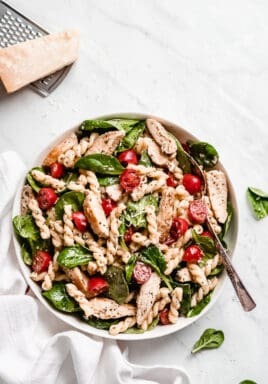 Good but I will not be adding 2 Tbsp seasoned salt the next time I make, entirely way to much and makes it super salty.